M.C. Elish is a cultural anthropologist whose work examines the social impacts of AI and automation on society. 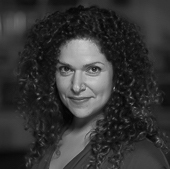 As Research Lead and co-founder of the AI on the Ground Initiative at Data & Society, she works to inform the ethical design, use, and governance of AI systems through the application of social science research and human-centered ethnographic perspectives. Her recent research has focused on how AI technologies affect understandings of equity, values and ethical norms and how professional work lives change in response. She has conducted field work across varied industries and communities, ranging from the Air Force, civilian drone regulation, and commercial aviation to precision agriculture and emergency clinical care. Her research has been published and cited in scholarly journals as well as publications including The New York Times, Slate, Vice, and USA Today. She holds a PhD in Anthropology from Columbia University and an S.M. in Comparative Media Studies from MIT. Elon Musk says AI could doom human civilization. Zuckerberg disagrees. Who’s right?